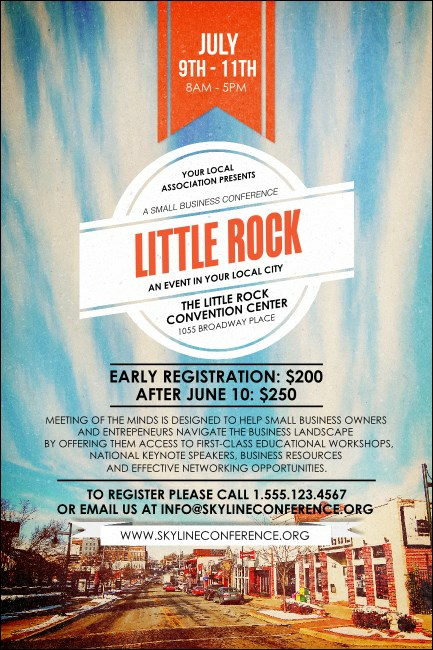 Make your Rock Town pre-event promotions more well-known when you print Little Rock Posters and advertise your event in advance. Get the attention of Central Arkansas and Capital City with Posters that feature a scene from a local neighborhood under a bright blue sky with fluffy white clouds. Advertise with Southern charm at TicketPrinting.com.